Three researchers from the Andean University Simon Bolivar (Universidad Andina Simón Bolívar) in Quito, Ecuador have published the results of a 6-month monitoring study of the El Zarza community near Lundin Gold’s Fruta del Norte mine project, currently under construction. The study, “Fruta del Norte: La manzana de la Discordia” (Northern Fruit: The apple of discord) was published by María Fernanda Solíz Torres, Milena Alía Yépez Fuentes, William Sacher Freslon in Spanish in July 2018, but an English summary is now available, called “The Significance of Memory and Monitoring: Resistances from the Valle de las Luciernagas”. The authors’ findings are alarming. The Fruta del Norte project, started by Canadian company Aurelian Resources and bought up by Kinross Gold, is now owned by Canadian/Swedish company Lundin Gold (TSX: LUG). 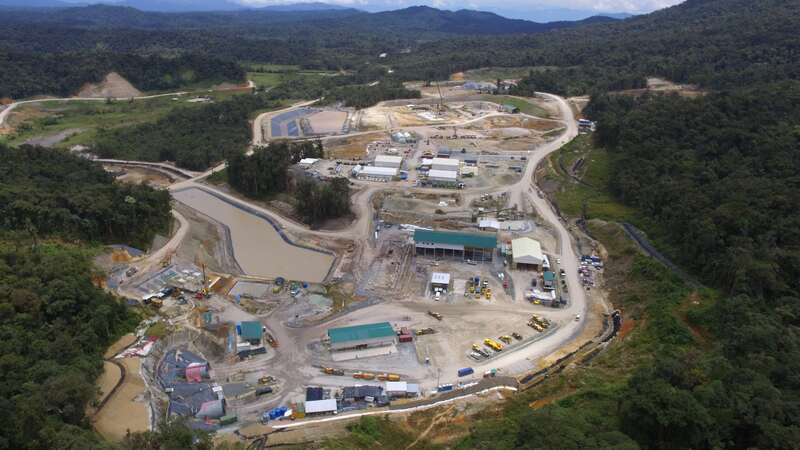 The proposed mine sits close to the Ecuador-Peru border, alongside the controversial Chinese-operated Mirador and San Marcos mines in the Cordillera del Condor region, and is projected to process 3,500 tonnes of ore daily for an annual gold production of 325,000 gold ounces. Even though the project is not yet in production, the study reveals how exploration and development-stage mining projects produce direct, deeply seeded and long-lasting impacts on people’s lives. Originally convinced by the promises of the junior mining company that discovered the deposit, the community of El Zarza accepted and looked forward to the promise of “development”. Now, the study tells us, people look longingly to the past and attempt to draw nostalgia from “times before mining” to take them away from their gloomy present and future, a time which the authors describe as dark and without life. ...[instead] there is an increasingly noticeable presence of dump trucks, haul trucks, and heavy machinery constantly travelling through the Cordillera, day and night. The glow of their headlights has replaced that of the fireflies, the vibrations have damaged the community’s infrastructure, the dust affects the water system, and wildlife, feeling displaced, have begun to affect daily life in a significant way. The authors used Participatory Action Research (PAR) to engage the community to complete a series of socio-ecological monitoring of their surrounding environment, and included a way of socializing and building not only an extensive and important database, but cohesion among members of the community. Fernanda Soliz, the principal investigator, has over ten years’ experience working in and around Zarza. The monitoring process lasted a period of six months and involved all families living in El Zarza. There were three components: ecosystemic (flora, fauna, ground, water, noise, air, river), family health, and psychosocial wellbeing (social conflict, social organization, political violence). The families of El Zarza feel that their hands are tied. They conceive of large-scale mining as a punishment. They live in a form of submission or consensual slavery, in which it has become the norm to beg for work as labourers in conditions of exploitation that are subcontracted and with no labour rights. With increasing government control and regulation of the productive use of their territories, and lacking incentives for artisanal agriculture and livestock farming, communities could not guarantee their material reproduction and, gradually, people saw no option but to leave. The authors have documented the disappearance of fireflies, important for local cultural practices and overall ecological networks, and a decline in the prevalence of other flora and fauna. They also note an increased presence in the village of predatory species like pumas and jaguars, which the authors note is a cause for much concern for residents. They document an increase in emotional stress and anxiety within the community and a fear of violent dispossession. They also noted significant negative changes in what they refer to as the “five aspects which structure ways of living”: production, reproduction, consumption, social organization and relationships to nature. We were able to ascertain that the families who have the highest levels of harmful exposure and whose physical and psychosocial health is most affected are those whose livelihoods depend on employment from the mining company as labourers, in subcontracted positions, and in artisanal mining, whether legal or illegal. But despite the growing concerns around the project, construction continues. On January 14, Lundin reported positive results on the advancement of construction at the Fruta del Norte project. As its imprint on the land grows, there are definite concerns as to the kinds of continued impact this expansion will produce. It is important to note that another member company of the Lundin Group, Lundin Petroleum, has been linked to human rights abuses by Swedish watchdog, Swedwatch, for its work in Sudan. Since the results of this study already paint such a bleak picture of the future for the people of Zarza, MiningWatch Canada is concerned about the implications that bringing the mine into production could have. The summary of the book’s findings, translated into English, is attached here, and you can download the full study here as well as other works by the authors here.